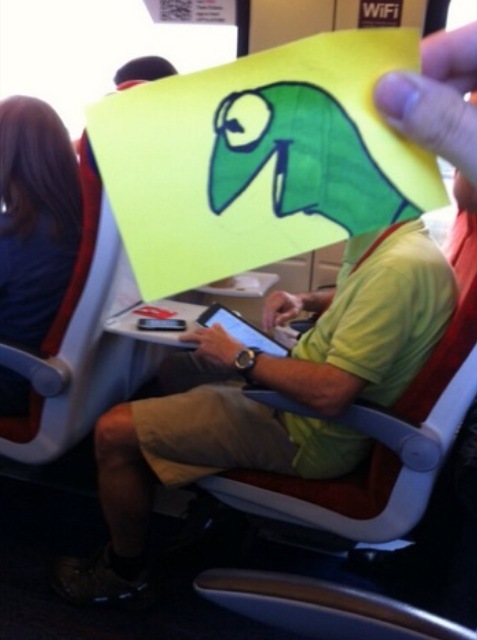 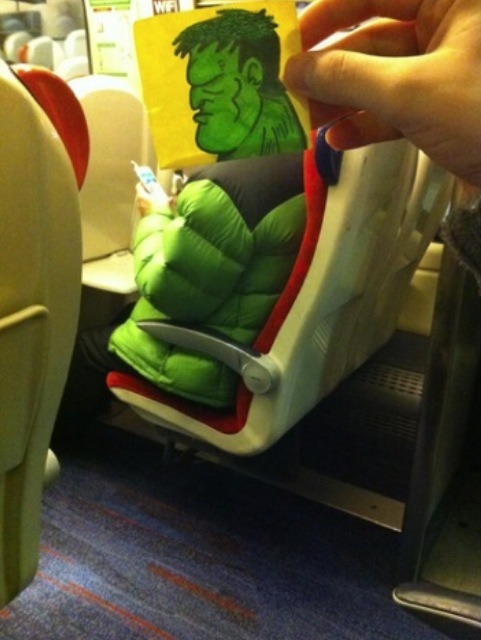 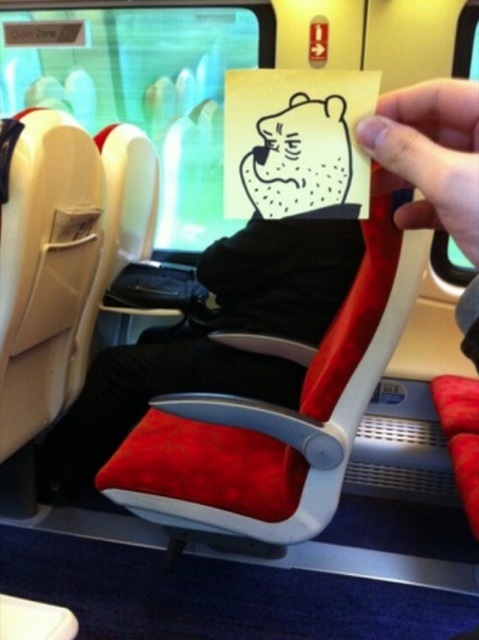 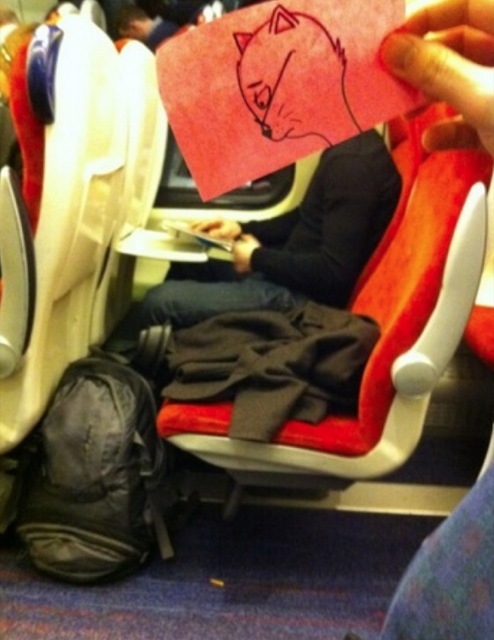 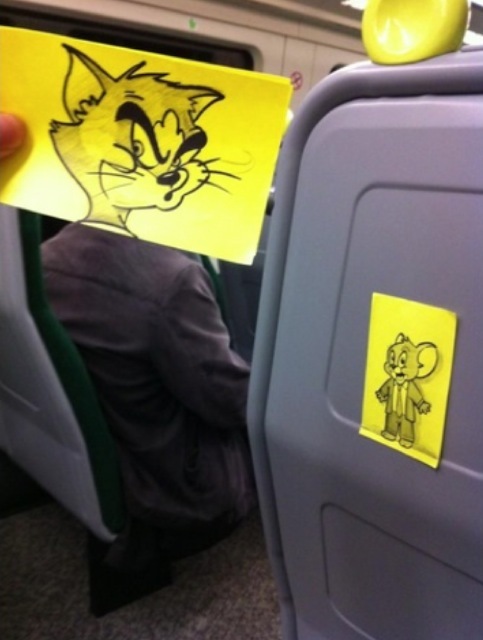 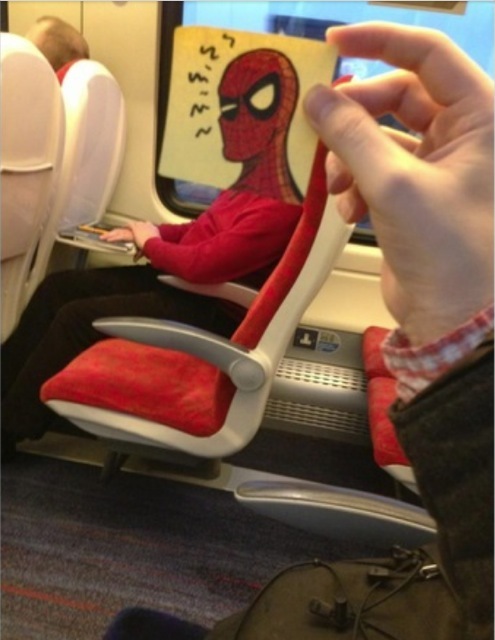 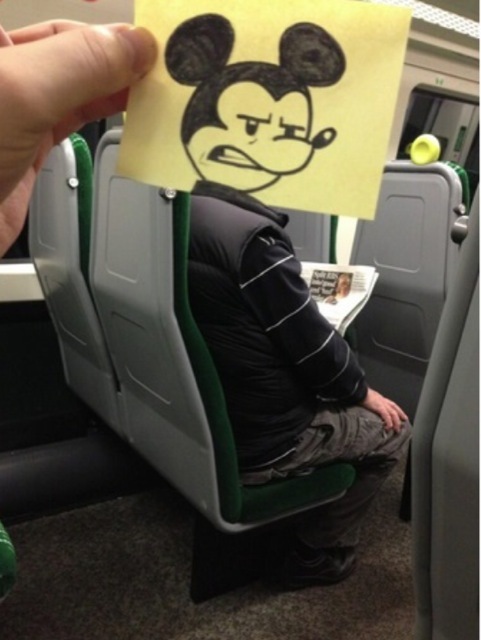 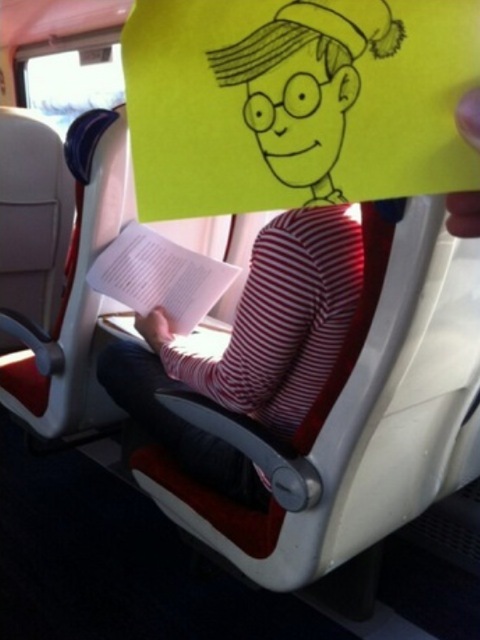 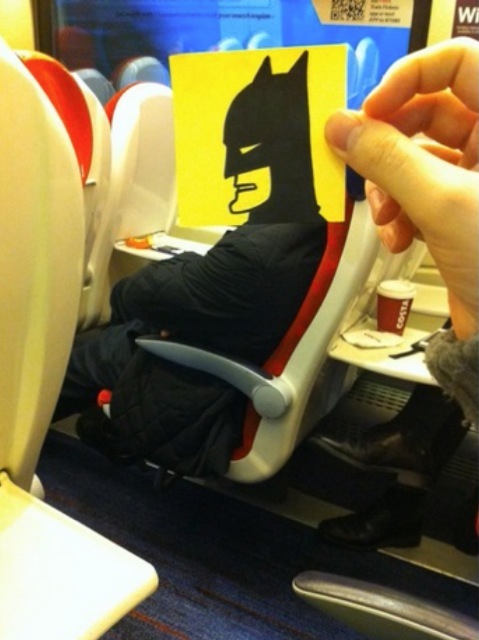 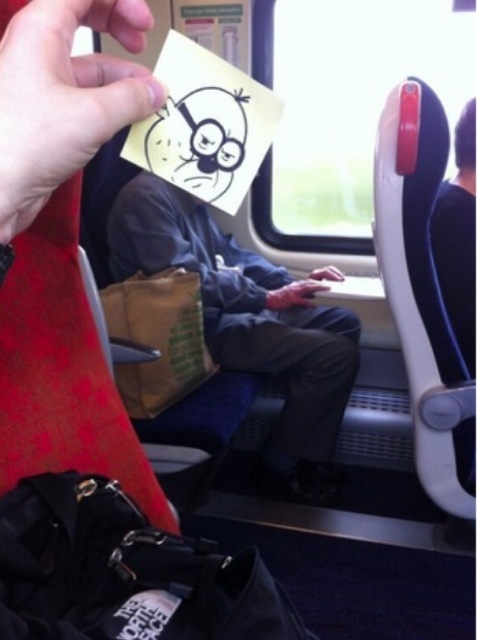 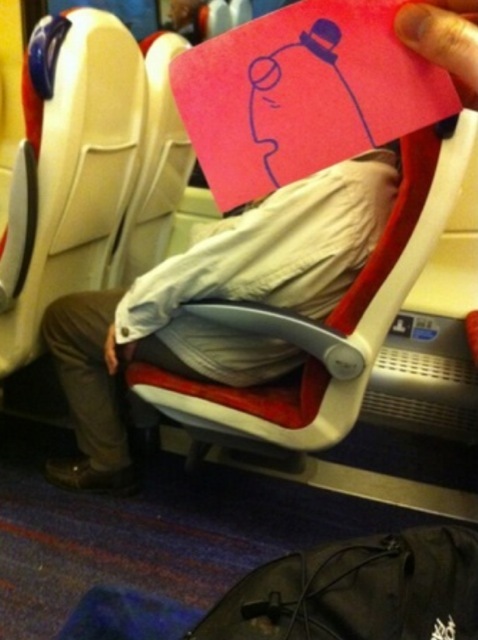 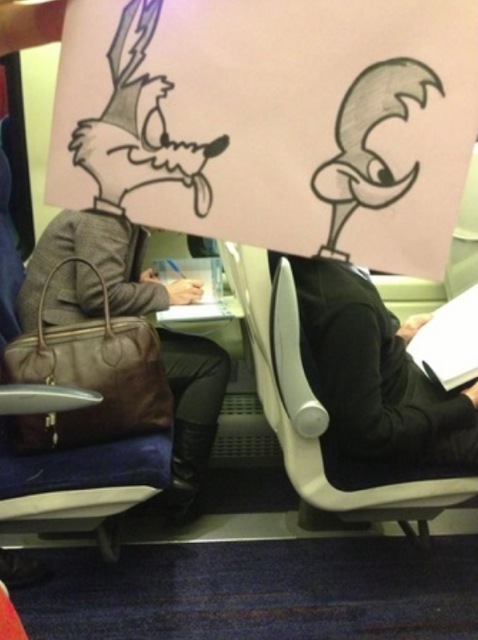 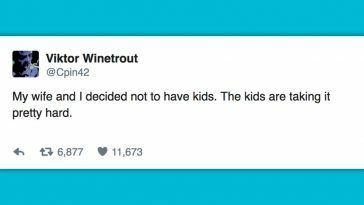 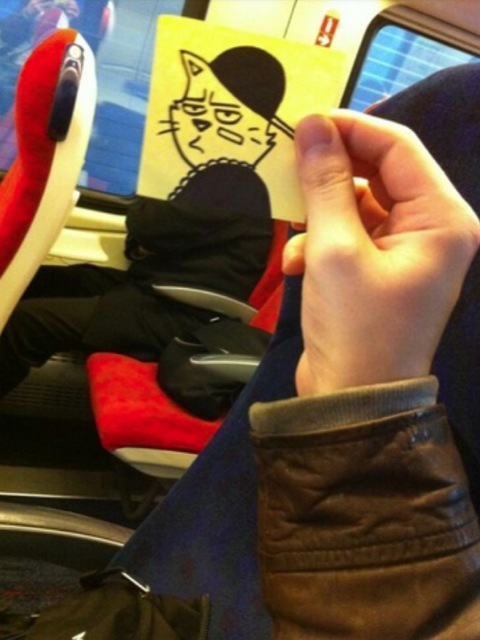 This illustrator found a funny way to kill boredom on a train, and you should try it too! 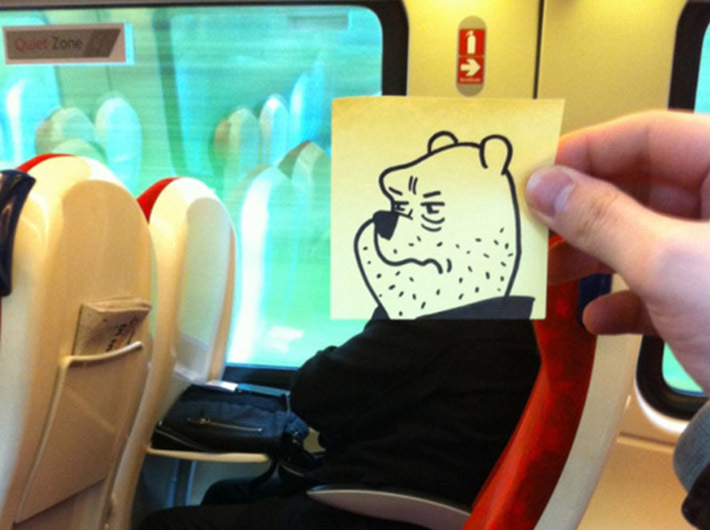 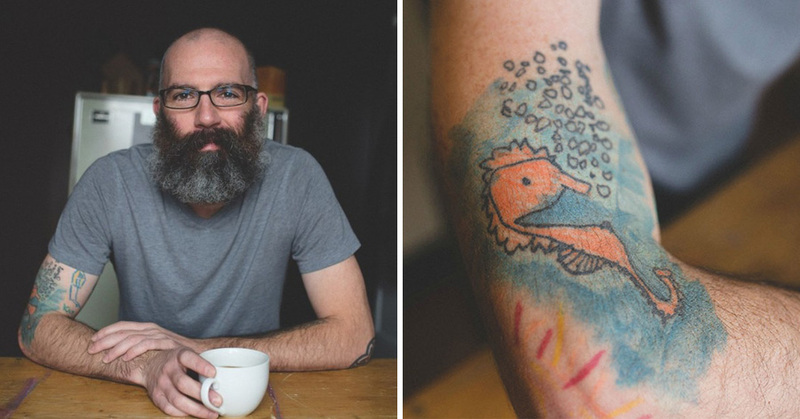 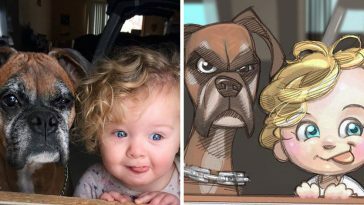 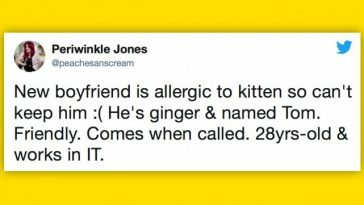 October Jones is an illustrator and blogger, best known for his Texts from Dog blog. 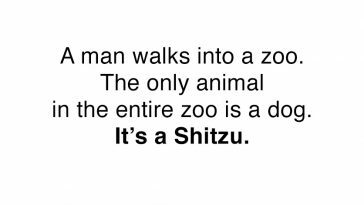 If you have ever read his posts you already know that he is a person with a strong predisposition to irony. 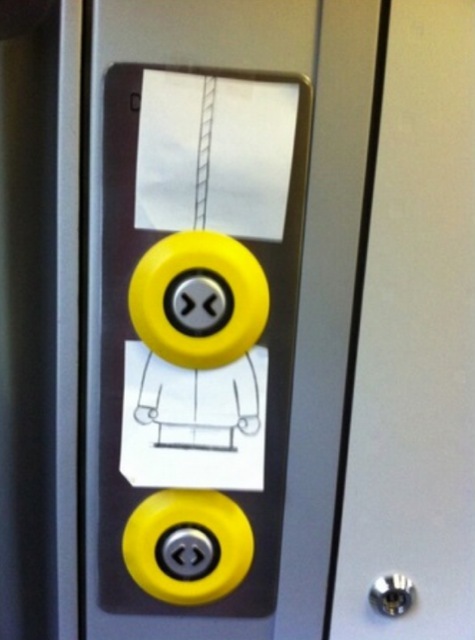 October found a funny way to enjoy the time spent traveling on a train, in fact he doodles funny heads on sticky notes and matches them with the bodies of other train passengers. 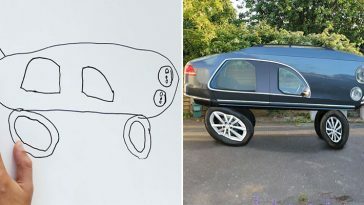 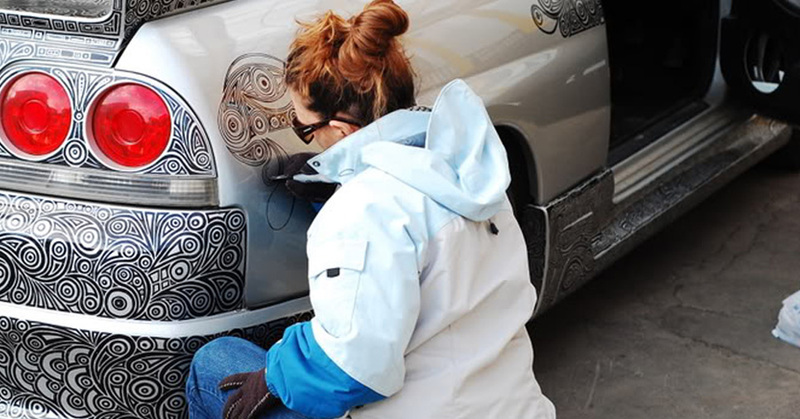 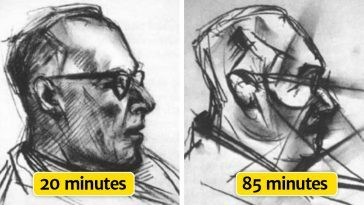 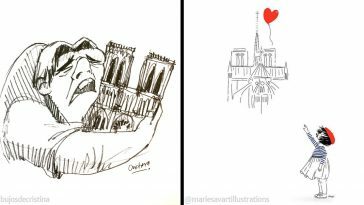 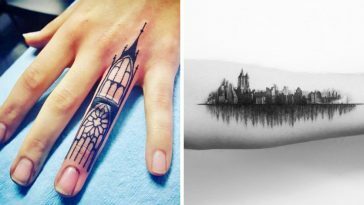 In the following gallery we are going to show you the drawings that we liked the most. 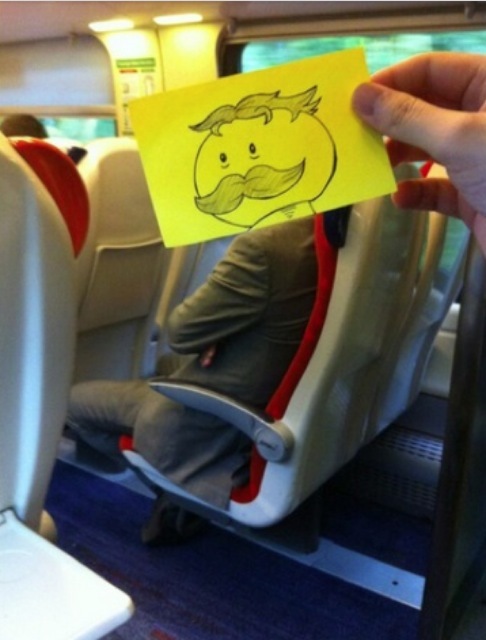 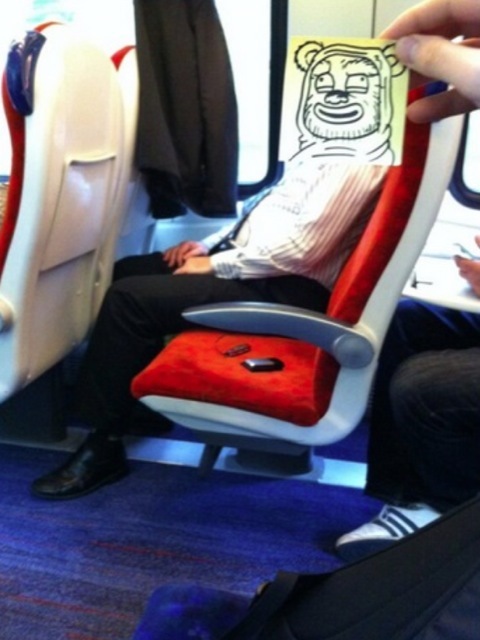 If you enjoy them, remember to take a look at his Twitter, where you will find many more funny train characters.